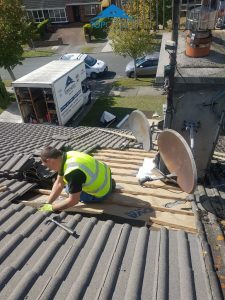 Roofing contractors for Baldoyle in Co. Dublin.All types of roof repairs, new roofs, slate tiling, felt roofing, chimney repairs, small repairs, loose ridge or tiles and general roofing maintenance work. Free same day estimates. All work carried out to industry approved standards. 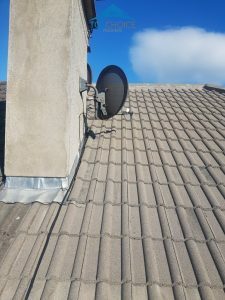 Our reputation as a Baldoyle roof repair expert has been built upon a solid, honest and trustworthy service in Baldoyle, Co. Dublin. All styles of pitch roofs and flat roofs repaired. We are a skilled and experienced roof contractor, with a large team providing roofing repairs for Baldoyle. We will quickly help to resolve your problem with a fast professional service. Whatever type of roofing service you require, we are here to help, in fact we have helped hundreds of customers over our 20 year providing a quality roofing repairs service. 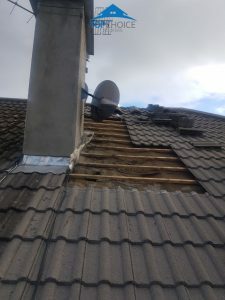 We provide a quality professional service at a competitive price, while ensuring all our customers are 100% satisfied with our roofing repairs in Baldoyle. Roof contractors in Baldoyle. Affordable, efficient and registered roofing repairs in Baldoyle, Co. Dublin. Emergency repairs carried out on the spot when possible. All work guaranteed. We offer a call-out and inspection service at no cost, offering expert advice, and if you do decide to proceed with our roofing repairs service you’ll find our pricing the most competitive on the market. Why should you call Top Choice Roofers for roofing repairs in Baldoyle? You can schedule an appointment by calling our office, using the contact form to request a call back or by calling us directly for help on our mobile. 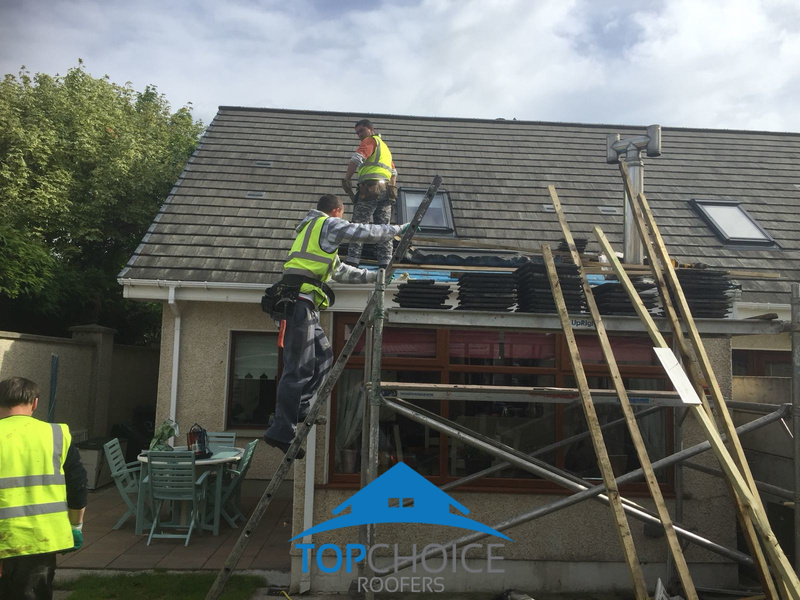 Make the correct choice today for your roofing project, call Top Choice Roofers for a skilled roofer in Baldoyle, Co. Dublin.